Missouri currently has four HCBS 1915(c) waivers that serve children. Only the waiver for persons with developmental disabilities waives parent income. For a general overview of programs, see their Home and Community Based Waivers page. Recently, Missouri's autism waiver was allowed to expire, and those needing ongoing services were moved to the Community Support Waiver. 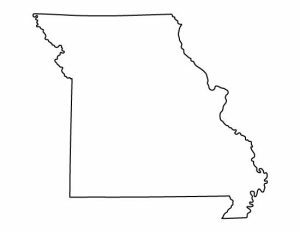 Missouri also has several adult-only waivers, including AIDS, Independent Living, Medically Fragile Adult, Aged and Disabled, and Adult Day Care. Target Population: Children with developmental or intellectual disabilities. Description from medicaid.gov: Provides day habilitation, in home respite, personal assistant, support broker, applied behavior analysis, assistive technology, community integration, community specialist, crisis intervention, environmental accessibility adaptations-home/vehicle modification, individualized skill development, out of home respite, person centered strategies consultation, specialized medical equipment and supplies (adaptive equipment), transportation for children with ID/DD, 0-17 yrs. How to Apply: Contact your Regional Office. Description from medicaid.gov: Provides day habilitation, personal assistant, prevocational services, supported employment, dental, support broker, applied behavior analysis (ABA), assistive technology, career planning, community integration, community specialist, community transition, environmental accessibility adaptations-home/vehicle modification, family peer support, individualized skill development, job development, occupational therapy, person centered strategies consultation, physical therapy, professional assessment and monitoring, specialized medical equipment and supplies (adaptive equipment), speech therapy, temporary residential service, transportation for individuals with autism, ID, and DD, ages 0 - no max age. Description from medicaid.gov: Provides community employment, group home, in home respite, individualized supported living, job preparation, personal assistant, assistive technology, behavior analysis service, co-worker supports, communication skills instruction, community specialist, community transition, counseling, crisis intervention, environmental accessibility adaptations-home/vehicle mods, host home, independent living skills development, job discovery, OT, out of home respite, person centered strategies consultation, PT, professional assessment and monitoring, specialized medical equipment and supplies (adaptive equipment), speech therapy, support broker, transportation for individuals with IDD and DD, ages 0 - no max age. Description from medicaid.gov: Provides community employment, in home respite, job preparation, personal assistant, assistive technology, behavior analysis service, co-worker supports, communication skills instruction, community specialist services, counseling, crisis intervention, environmental accessibility adaptations-home/vehicle mods, independent living skills development, job discovery, OT, out of home respite, person centered strategies consultation, PT, professional assessment and monitoring, specialized medical equipment and supplies (adaptive equipment), speech therapy, support broker, transportation for individuals with ID or DD, ages 0 - no max age.